Cavities can sometimes cause damage too extensive for a dental filling to repair. In these situations, inlays and onlays are often used to restore teeth with more significant damage from decay. 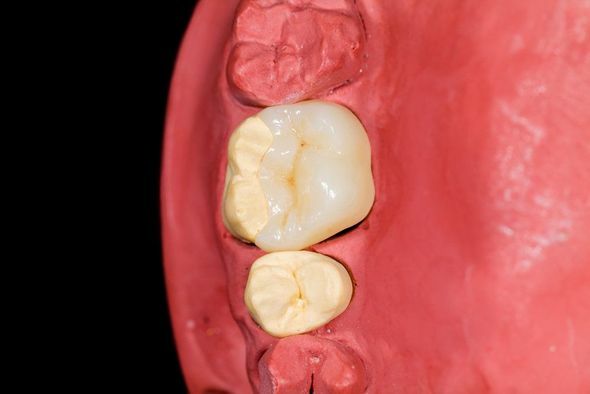 These high-quality restorations are more conservative than a crown, but can still provide significant strength and protection to damaged teeth. Dr. Michael J. Bixby and his team provide customized, all-porcelain inlays and onlays at their Red Bank, NJ, office. Dr. Bixby can ensure that your restorations will blend with your smile and restore your full oral function. Inlays and onlays are dental restorations for patients with moderate tooth decay or damage on the chewing surfaces of their teeth. The restorations are a more conservative treatment than dental crowns, requiring less preparation of your natural tooth. Inlays and onlays are also able to provide more significant repair to damaged teeth than dental fillings. Inlays are typically placed between the cusps of a tooth, restoring structure after a pit or fissure cavity. Onlays are larger, and can replace one or more of the cusps, as well as extend down the side of the tooth. Dr. Bixby only places high-quality, all-porcelain restorations for optimal aesthetics and durability. In order to place an inlay or onlay, Dr. Bixby and his staff will begin by providing anesthetic. He can also provide safe, gentle sedation for your comfort during the procedure. Once you are fully numb, Dr. Bixby will remove all decayed and damaged tissue. He will then prepare the tooth, ensuring that there is a stable base for your restoration. We will then take impressions of your prepared tooth. These highly accurate molds will be sent to our advanced, partner lab, where they will fabricate your restoration to match the shade of your smile and force of your bite. This process usually takes about two weeks, during which time, we will provide you with a temporary restoration. Once your inlay or onlay is ready, you will return to our office for your second visit. Dr. Bixby will ensure that your restoration matches your exact specifications, make any necessary alterations, and secure your inlay or onlay in place. Inlays and onlays require less tooth preparation, do not expand or shrink like metal fillings, and provide additional strength to damaged teeth. If you have suffered from decay and damage to your teeth, an inlay or onlay can provide vital repair to oral form and function. We provide customized, conservative restorations, made of high-quality porcelain that will match your smile and bite. Contact our practice today to schedule an appointment and restore your smile.